Support Local Shopping Series: Hi there friends, I’m Lauren! For those who are new to my blog, you may not already know that two of my [many] passions are traveling and shopping. Combine these two loves and so was born my Support Local Shopping Series! 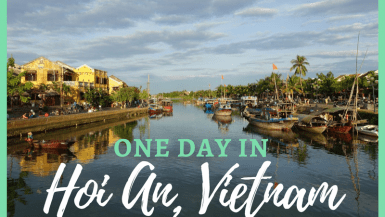 In this series I share all about the local vendors and artisans I’ve discovered during my travels! Whether they’re artists, designers, craftsmen, or farmers every single one has something incredibly special to share! If you’re someone who likes to bring home unique gifts, seeks out truly one-of-a-kind souvenirs, or simply loves supporting the locals, you’ve come to the right place! 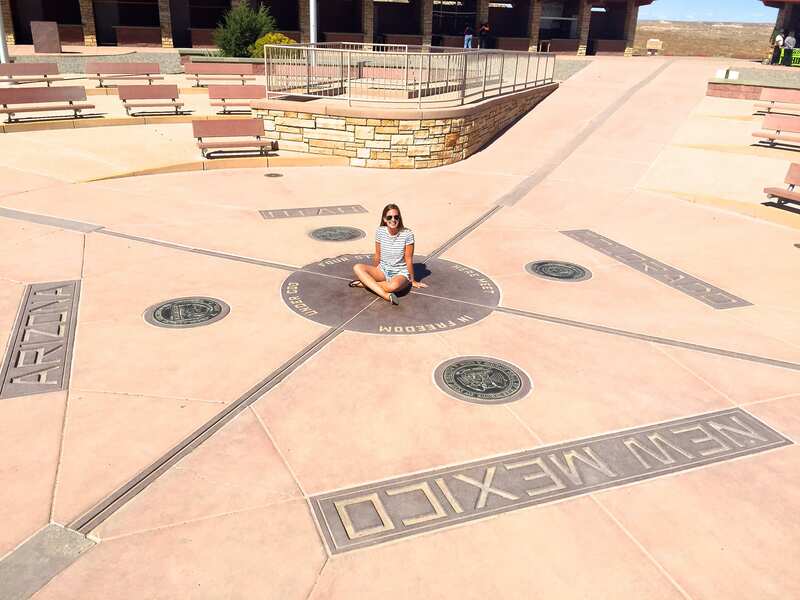 Have you heard of the infamous Four Corners Monument in the US? If not, it’s a landmark and popular tourist attraction in Navajo Nation where four US states [New Mexico, Arizona, Utah and Colorado] meet. It’s actually the only place in the country where four different states intersect at a perfect point. The concept behind it all is pretty cool [I mean who doesn’t want to say they were in four places at once? ], but it’s turned into just another tacky site attracting the camera-carrying masses. If you don’t Instagram it, did it even happen? Lining the monument, in a square crossing the state borders, are a bunch of little stands run by the local Navajos. Some of the merchandise is a little dingy and definitely overpriced, but if you take a closer look you can find some real gems (pun intended)! 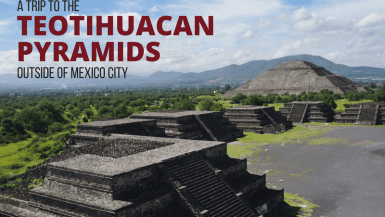 Luckily I got to visit during the off-season, so I was able to spend a good amount of time browsing without getting hassled by the usual crowds. 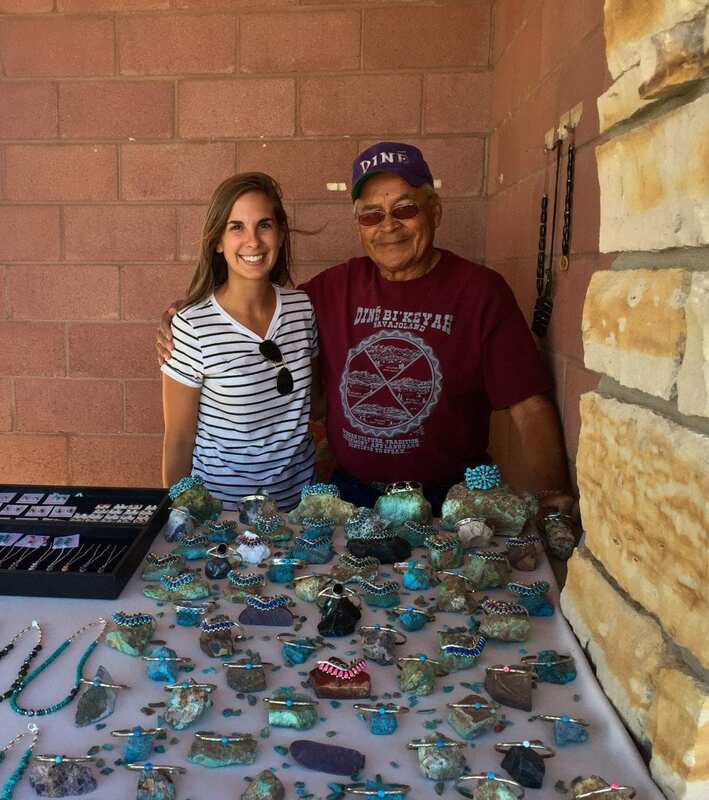 Visiting on an off day also gave me an opportunity to chat with the different Navajo craftsmen I planned to purchase from. They were all so friendly and open and some of their stories were really extraordinary! Meeting the artist behind a craft is truly my favorite part of shopping! 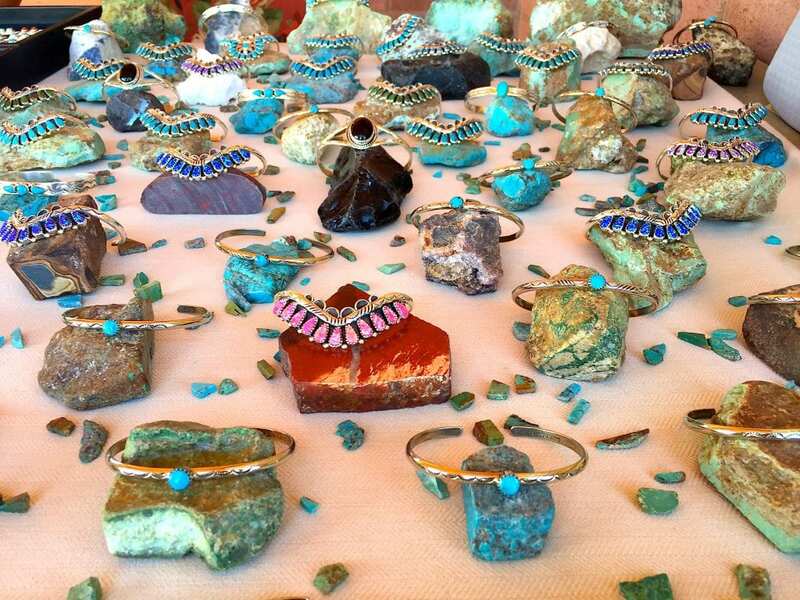 Leroy and Erma’s handmade bracelets attracted my attention right away. Their elegant display, sprinkled with stones, propping up the delicate bangles with small rocks certainly stood out among the other stands! These nickel-silver arm charms are adorned with hand-etched designs and semi-precious stones like turquoise. Leroy and his wife design each and every piece themselves and while they may be considered costume jewelry, they’re gorgeous and a real steal! At only $20 apiece you better believe I didn’t leave empty handed! There were also similarly styled reasonably priced necklaces and earrings available! Leroy had the warmest smile and he even invited me in the back for a picture! 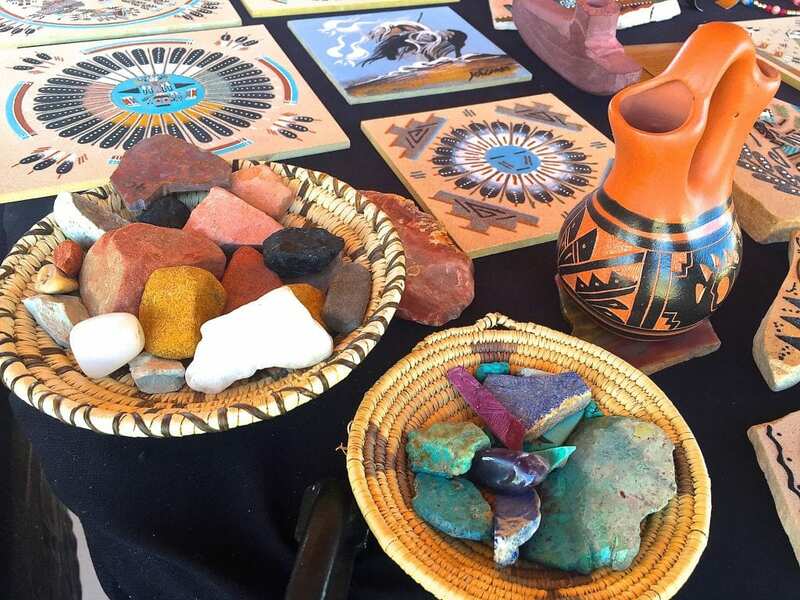 The art of Navajo Sandpainting was originally used by native medicine men during their healing ceremonies. The medicine man would create a large loose painting, either on animal skins or cloth and place the patient in the middle of it. They would then run some of the sand from the painting over the patient during the ritual. Later the piece would be destroyed, hoping to eliminate any illness along with it. 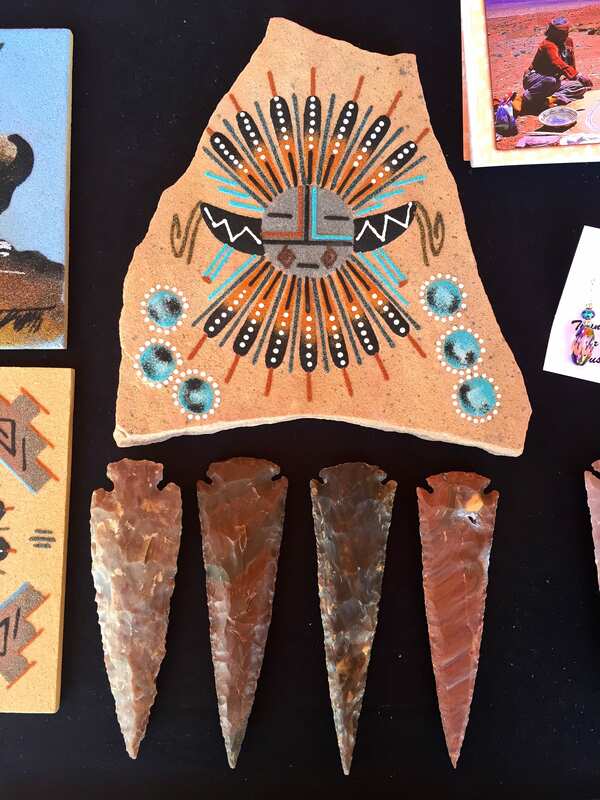 Today sandpainting is a popular tourist curiosity and Navajo art form, despite the fact that the pieces available for sale are rarely authentic. Authentic sandpaintings are considered sacred to the Navajos and are not to be used solely for viewing purposes. For this reason most of the available souvenirs are made with deliberate errors using variations of the originals. Still every colorful detailed design holds a specific meaning important to Navajo values and ideals. Wayne Tom is kind of a big deal in the Navajo sandpainting world, which may not be surprising taking a look at his intricate artwork. His art has been shown in trade shows and galleries all over the US! My father and I had the pleasure of talking to him for quite a while and he thoroughly explained his story and his craft to us! All of his designs are applied freehand using pulverized rocks, roots, flowers and bark to create natural color. He sticks these different minerals to the sand using his extremely complicated, top-secret ingredient– Elmer’s glue! Wayne Tom swears by this method and assured us the color’s not going anywhere! Wayne also finishes off each painting with an explanation of its meaning, his signature and the date it was made making it the perfect gift or keepsake! Only $15 for a square tile-like design! So there you have it! Not everything about Four Corners is a complete tourist trap! Have you ever been to the Four Corners Monument? What did you think about it? Do you like to support local artisans when traveling? Are there any local vendors in your town or city that you’d like to rave about? Send me a message at Lauren@laurenonlocation.com to contribute to my Support Local Shopping Series! This week I’m highlighting Two Feet One World’s video post “Two Feet in Mallorca! !” Watching this video made me feel like I was relaxing right in the beautiful warmth of Mallorca, a destination I unfortunately didn’t make it to while living in Spain. Thanks for giving me an inside look Jessi! Here’s how the link up works! 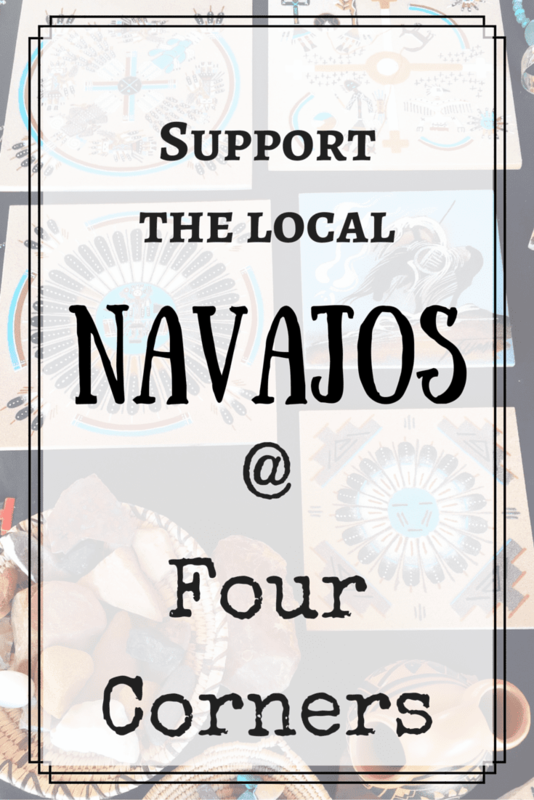 What a great way to support the Navajo people….such a great cause and those artisanal items are so pretty! 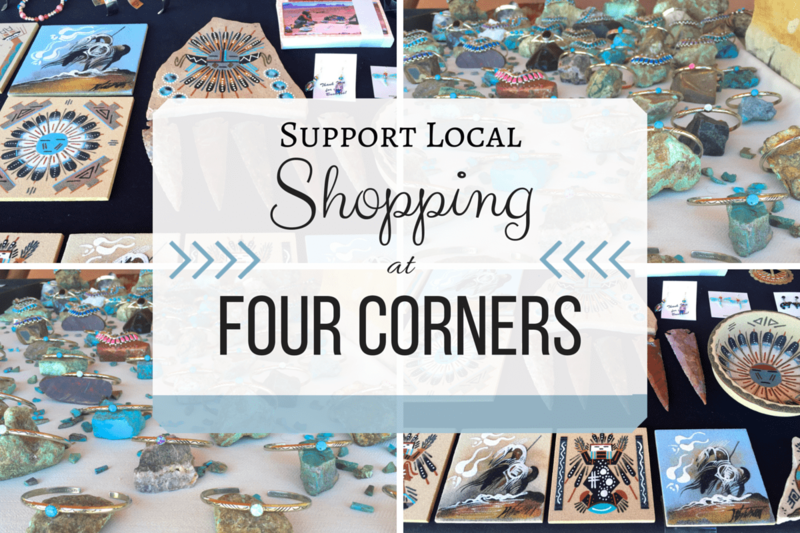 Even though it’s a tourist trap, I would still love to go to the Four Corners, it would just be so awesome to be in multiple places at once! 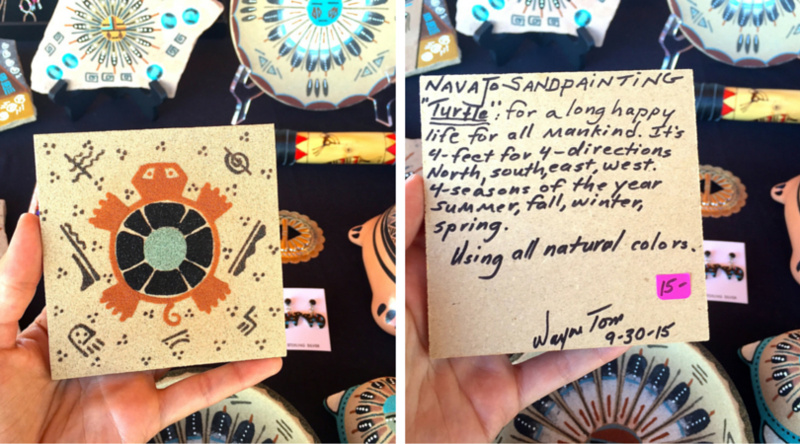 The Navajo sandpainting is so beautiful, and it’s so cool that he told you what the painting meant on the back. I enjoy being able to support authentic local makers when I’m travelling. 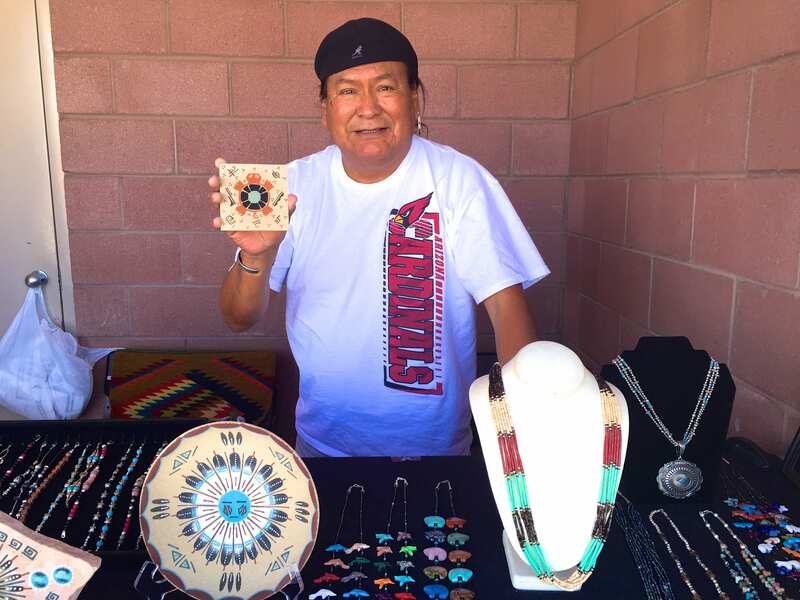 So lovely to meet the two Navajo gentlemen behind these products. I love how Wayne adds the meaning on the back of his artwork too. I never knew about this place. The neighborhood where I taught in Texas was called Four Corners but I assumed that’s not where you were talking about. Love all the jewlery! I had no idea that there’s a Four Corner’s in Texas. I wonder if it’s related some how! 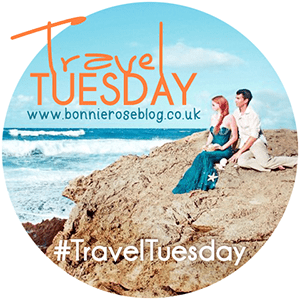 Sometimes we just can’t help ourselves but delve into the tacky tourist sites. That’s pretty cool to be honest, I would totally do the same thing and take a photo. The bracelets from Leroy and Erma look so pretty. The sand paintings are so interesting – I definitely wouldn’t have left that stall empty handed, either! It makes such a difference when stallholders are friendly, and you can find a bit more of a connection to them and the things they’re selling. And, I’m all for any location that combines travelling and shopping. Yes please! Love those sand paintings – they are absolutely beautiful. This was a fascinating story, Lauren. Even though I lived in New Mexico I never knew the significance of sand painting. Although I usually prefer photos to souvenirs, it’s so remarkable that I would make it a point to leave with one of Wayne’s beautiful creations. Someone with that much talent deserves my support. Thanks for sharing your story on #TheWeekly Postcard. I’ve pinned it to my See The USA board.